Arteche continues to develop and improve its equipment for on board and signalling applications. The Railway Relays, with extremely high MTTF values, are highly valued because of their reliability and quality. They have been installed in projects over 35 countries, helping customers to reduce their operating and maintenance costs. The railway relays comply with specific railway industry standards EN-60077 and EN-50155, regulations for vibrations (EN-61373) and for fire and smoke behaviour (EN-45545-2). They suit the safety critical applications on the railway system as they have mechanically linked forced guided contacts as standard (EN-50205). The Arteche relays guarantee a long service life even in extreme situations. This is further proof of their robustness and reliability that put them at the forefront of railway technology. 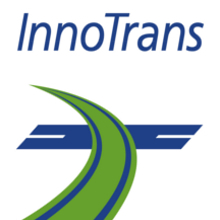 We will take part at InnoTrans 2018, the world’s leading trade fair for rail transport technology held in Berlin from 18th to 21st of September. In the stand 107, in Hall 17, you will have the chance to know the Arteche rolling stock relays and the signalling relays, which are designed, manufactured, unitarily tested and validated in our recently enhanced facilities in Spain, enabling an even more efficient response to the growing demand within the sector, with excellent delivery times and reliability indexes.